Muzaffarabad, Azad Jammu and Kashmir Public Service Commission Muzaffarabad has already conducted the written exams regarding their AJKPSC Specialists written exams 2019 and the interviews of the candidates were also conducted in the field of Eye Specialist / Ophthalmologist, Psychiatrist, Chest Specialist, Pathologist, Post Cardiologist, Child Specialist, Orthopedic Surgeon, Anesthetist, Radiologist and Physician / Medical Specialist. Now AJKPSC has provided the AJKPSC Specialists merit list 2019 with the complete updates of their roll no and names of the candidates. The candidates will watch the detailed information regarding their merit list and their final appointment on the advertised posts. 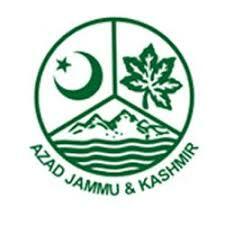 You Can Get AJkPSC Result here.